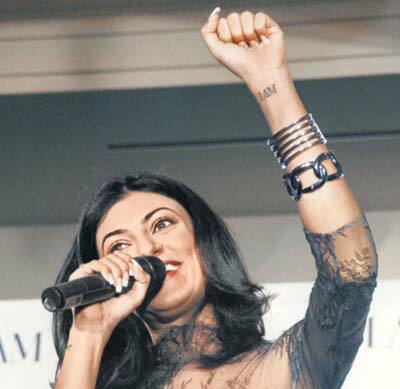 Pictures Sushmita Sen’s tattoo on her arms, wrist and back. Checkout pictures Bollywood celebrity tattoo’s. Her Right arm reads ‘Temptation’.